On February 11, in Innopolis, speaking at a Presidium meeting of the State Council of the Russian Federation on improving the living conditions of the population and creating a favorable urban environment with participation of First Deputy Chief of Staff of the Presidential Executive Office Sergei Kiriyenko and heads of Russian regions, Tatarstan President Rustam Minnikhanov, who heads the working group of the State Council of Russia on development of the housing market and the creation of a comfortable living environment in Russian cities said that the national project on development of housing sector and public spaces is one of the most ambitious and requires the implementation of a set of tasks. Answering the journalists’ questions, Tatarstan President noted that the task of increasing the rate of housing construction to 120 million square meters per year, set by Russian President Vladimir Putin, can be implemented but requires a number of system solutions. The first task is to ensure the demand of the population. The primary tools of housing purchase are mortgage loans. However, the current level of interest rates has a negative impact on the housing demand, Tatarstan President considers. He added that Russian President gave an errand to reduce mortgage rates to less than 8 per cent. “We think that this issue is one of the most important,” Minnikhanov said. According to Minnikhanov, the next task is the site preparation for the comprehensive development. It is also necessary to build social infrastructure facilities. “We should ensure schools, kindergartens and polyclinics. This is quite a lot of money. There are other national projects and federal programmes, which we should integrate. 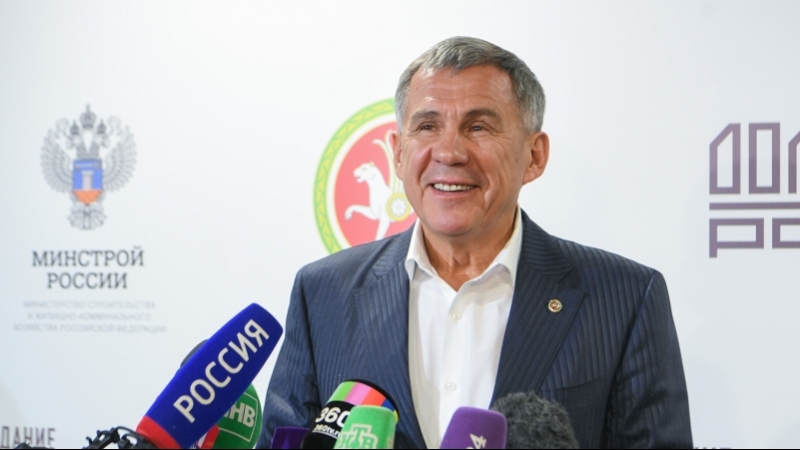 Of course, it will take us 2-3 years to establish the necessary foundation and reach the required volumes,” Tatarstan President said. He added that today an important issue is the reform of shared construction with further implementation of the project funding using escrow accounts. Minnikhanov emphasized that the members of the working group consider a number of other issues, in particular, solving the problems of dilapidated housing and assisting young and large families in purchasing housing.